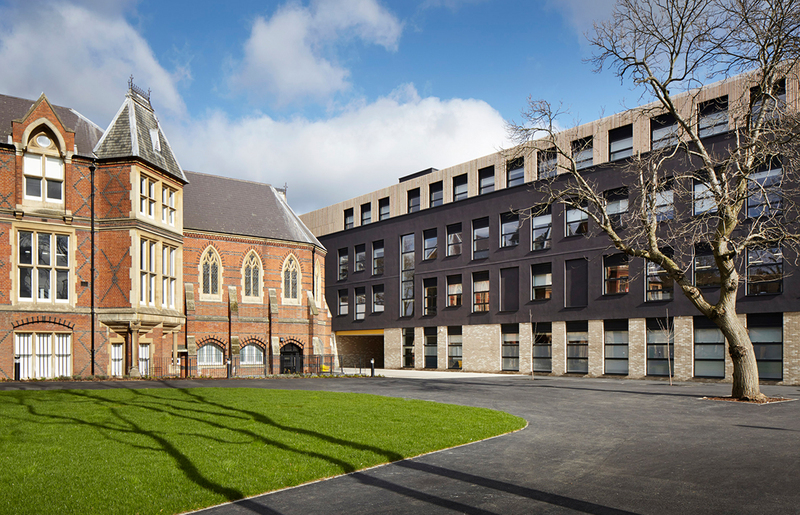 Mossbourne Victoria Park Academy is a new school in Hackney for 800 pupils. 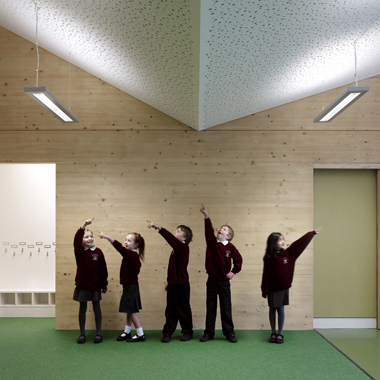 The new secondary school is an offshoot of the original Mossbourne Academy designed by Richard Rogers. 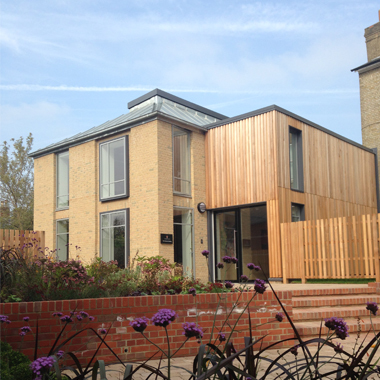 The new block is built in the grounds of the listed former French Hospital building. 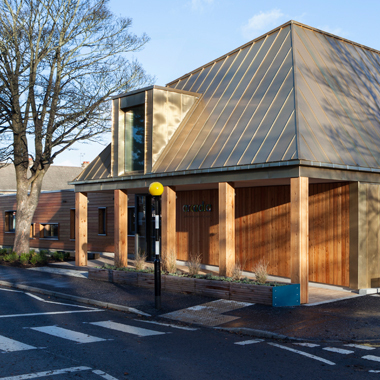 This 19th century building has been converted to house the library, teaching spaces and a range of other facilities. 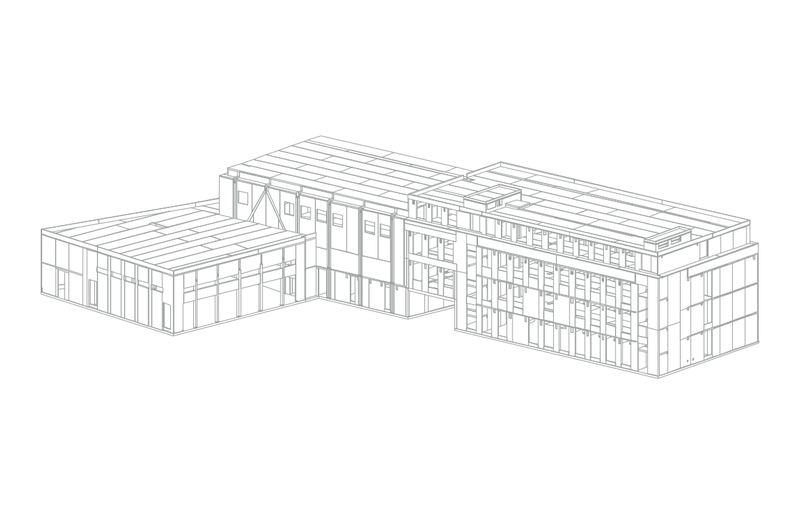 The adjacent new solid timber block accommodates the sports hall, assembly space and more specialist teaching facilities. 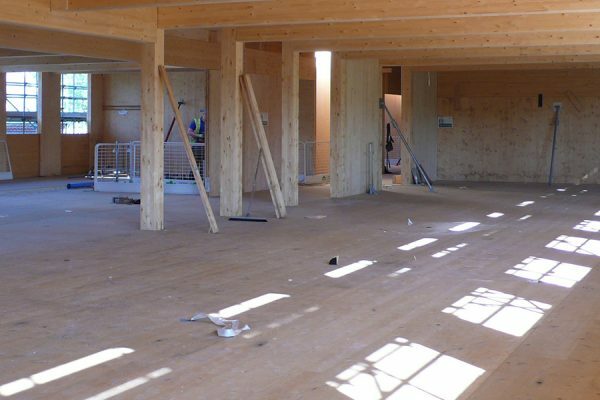 The four-storey building has exposed cross-laminated timber soffits, beams and stairways.